We are giving away a FREE Uncirculated Walking Liberty Half Dollar in a Special PCGS Holder with a Retail value of $75 to one of our readers. The Winner is James Bartley from Illinois. If you are the winner please send us an email to claim your prize. All winners need to be active PCGS eZine eCollector subscriber to be eligible for the prize drawing. The winner needs to claim their prize through email or by calling PCGS no later than 30 days from the date in which you were notified by PCGS or forfeit the prize. If Money Wasn't an Issue, Which Coin Would You Rather Own? Bowers & Merena, May 21,1996 auction sale of the Louis Eliasberg collection, lot 807. Brought $1,485,000 to become the first U.S. coin to sell for over $1,000,000. Jay Parino (1997-?) Purchased by Kansas City dealer Parino at the Eliasberg auction. What a difference a decade makes. I've been photographing silver eagles since 2002, and there has been a clear and perceptible change in the quality of these coins. It's not a good change either, as I'm sure many of you collectors out there can attest. How important is the coin you own? More specifically, is it one of the finest examples known? This information is of significant value because many collectors seek to own the very best coins available, and they pay big money for that privilege. Autograph guests are returning to the Long Beach Expo for the first time in a decade with appearances scheduled by Basketball Hall of Fame stars Magic Johnson and Jerry West, and famous jockey Laffit Pincay, Jr. Autograph collectors and sports fans can meet these sports legends Saturday, February 9, starting at noon. PCGS recently posted its expert picks for the Top 100 Modern Coins. The article is generating some buzz because PCGS is offering a $10,000 reward for the fabled and probably illegal 1964-D Peace dollar. If you haven't seen the list yet, take a few minutes and look it over. The coin market is good and business is booming at PCGS. We need some talent to help us grade all the coins people are sending us. 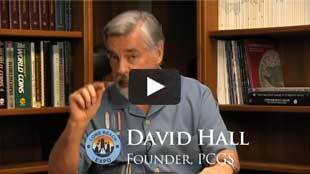 Then PCGS is the place for you!